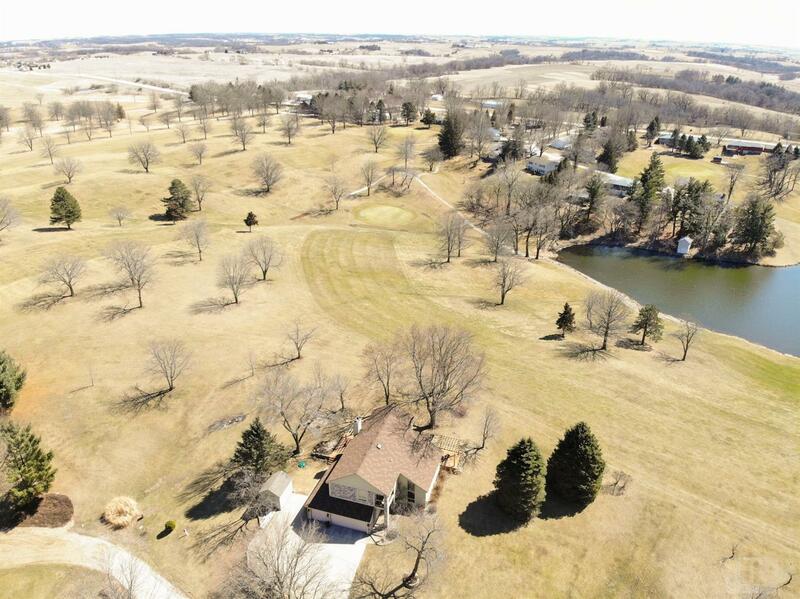 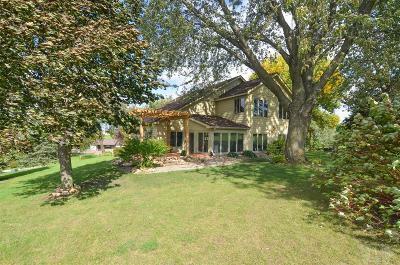 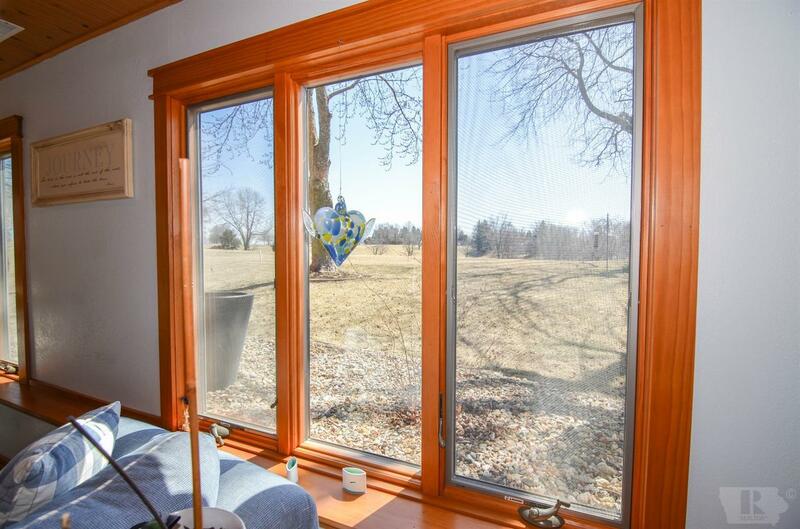 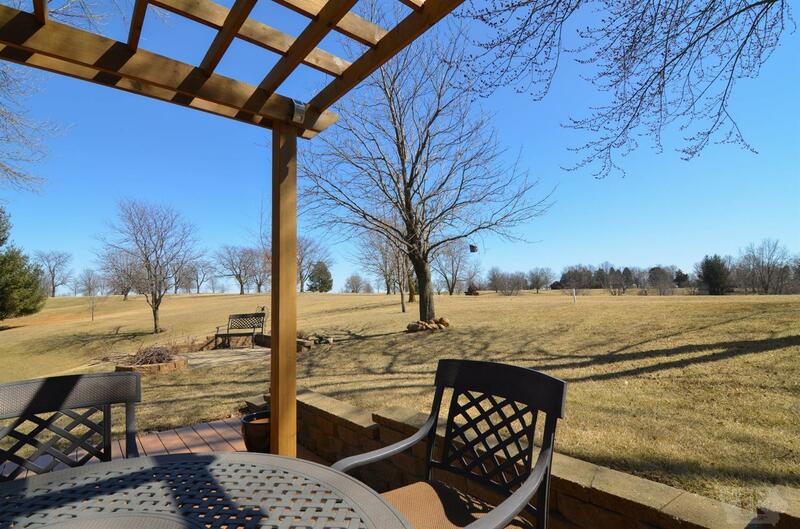 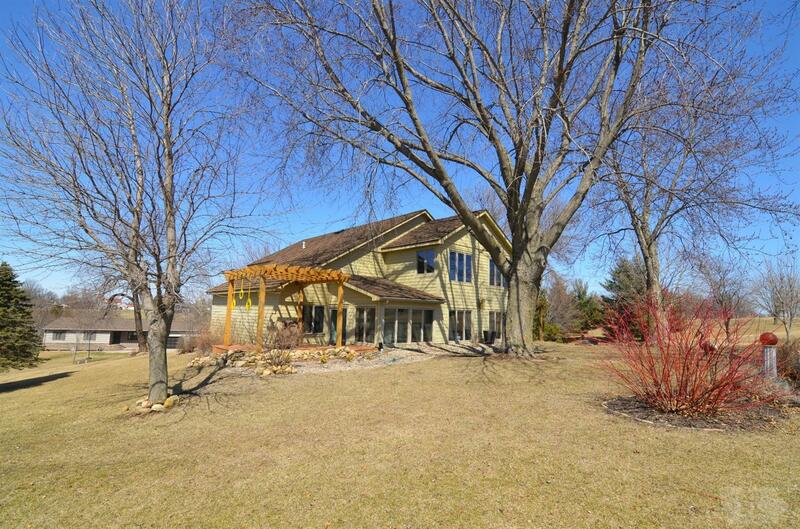 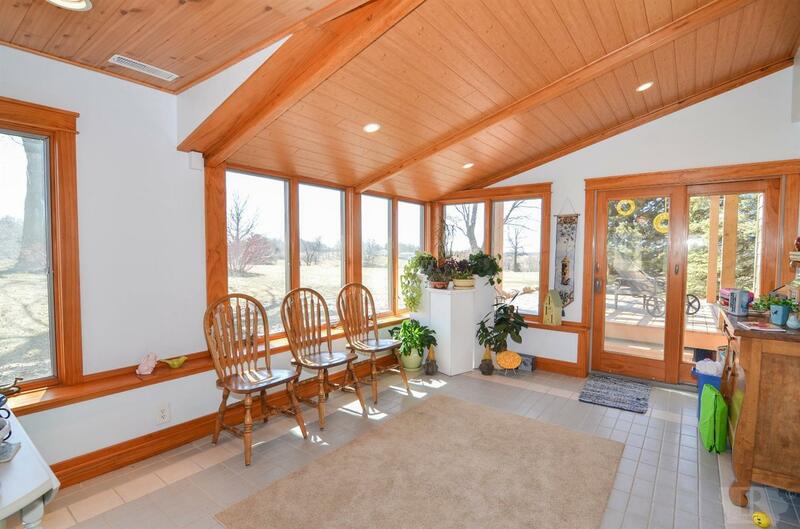 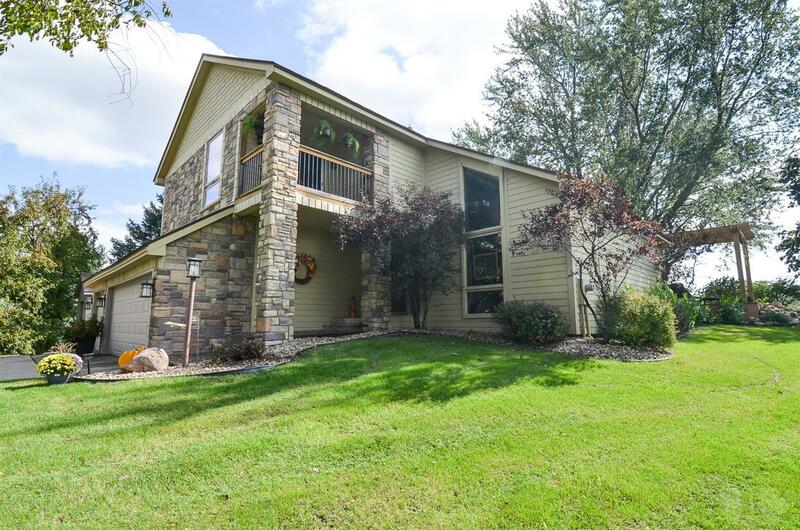 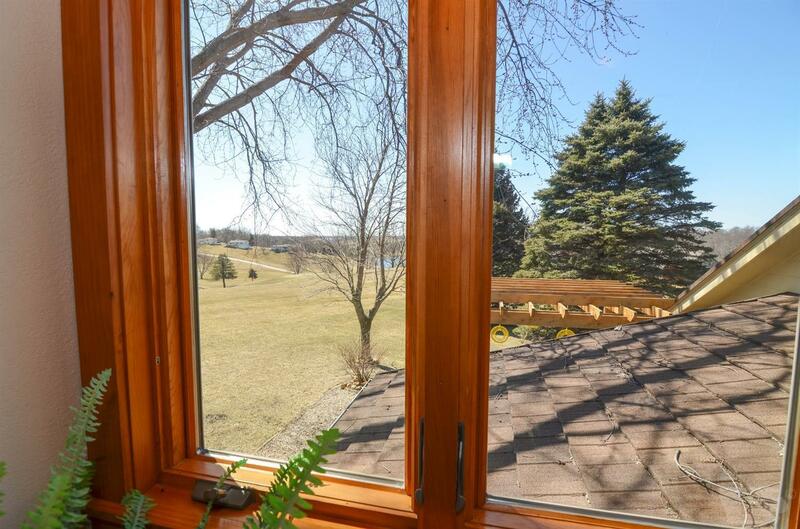 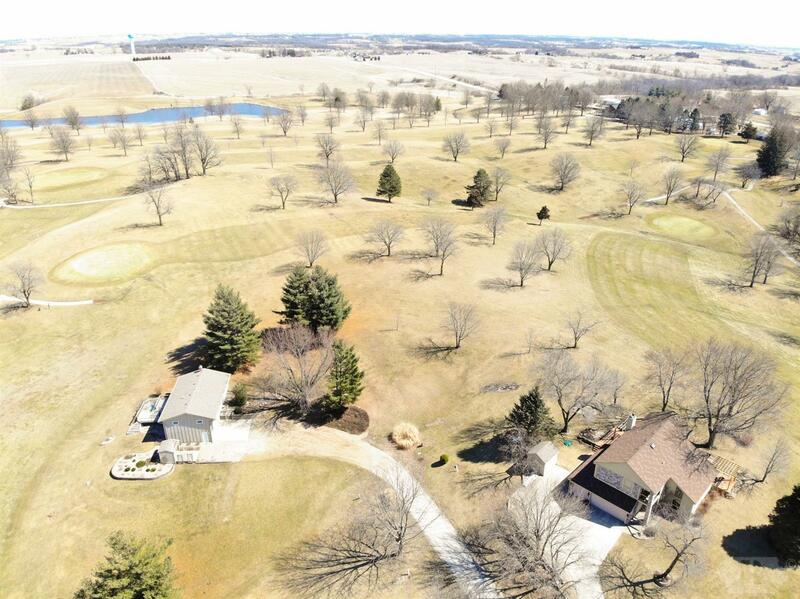 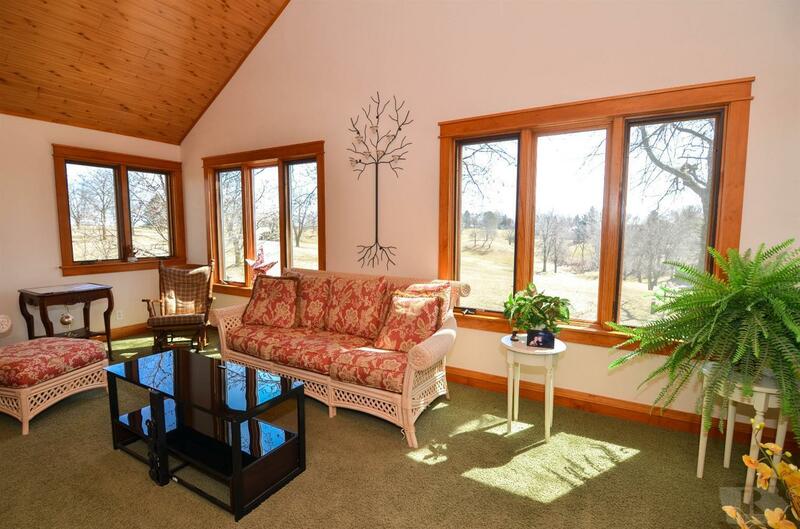 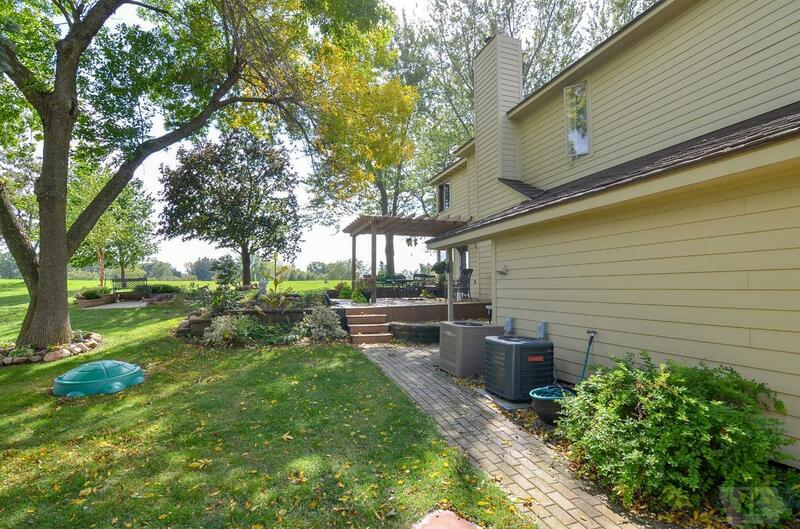 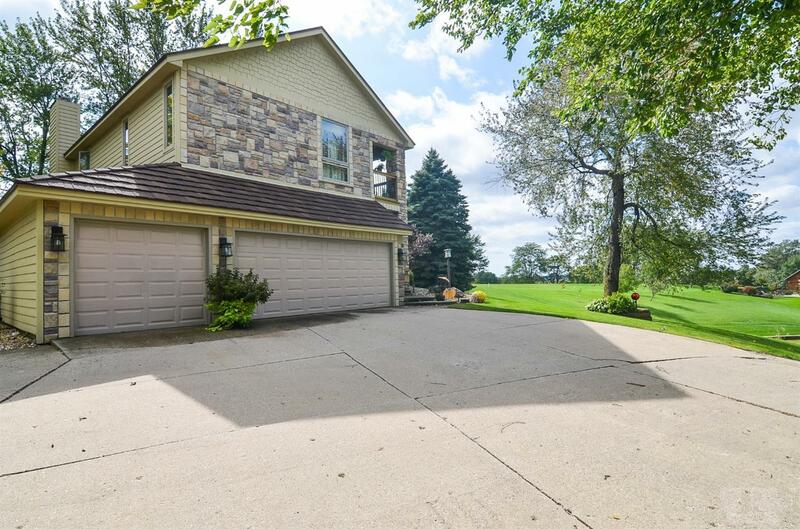 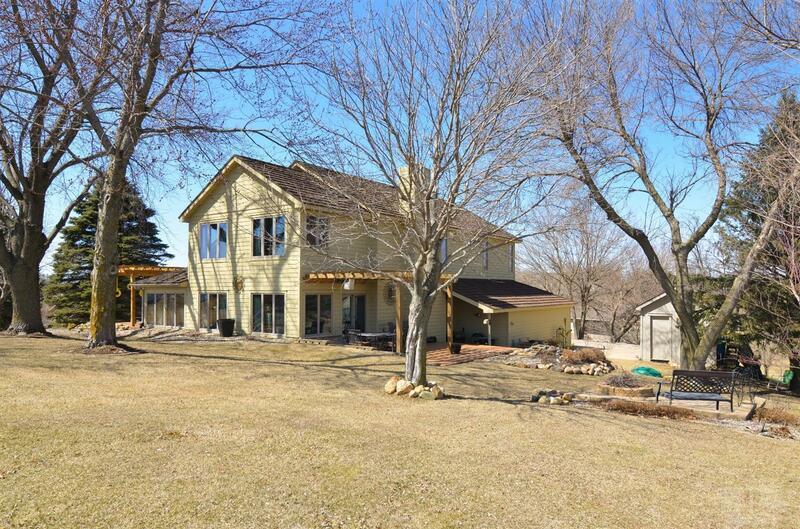 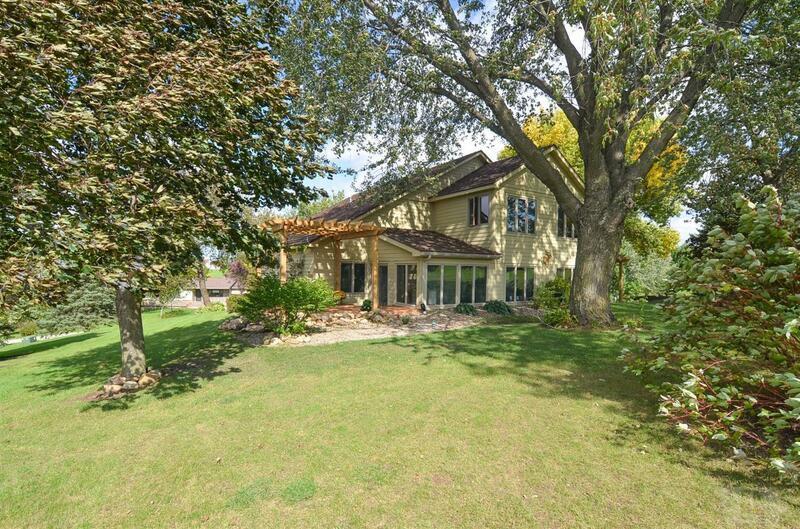 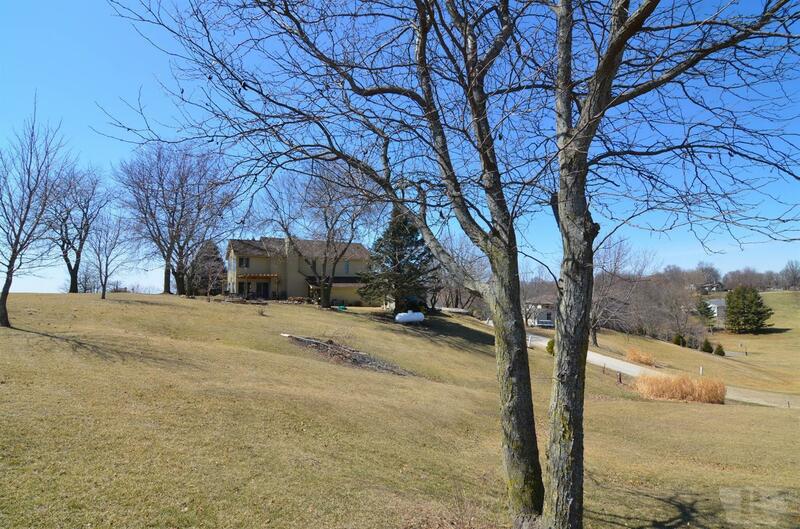 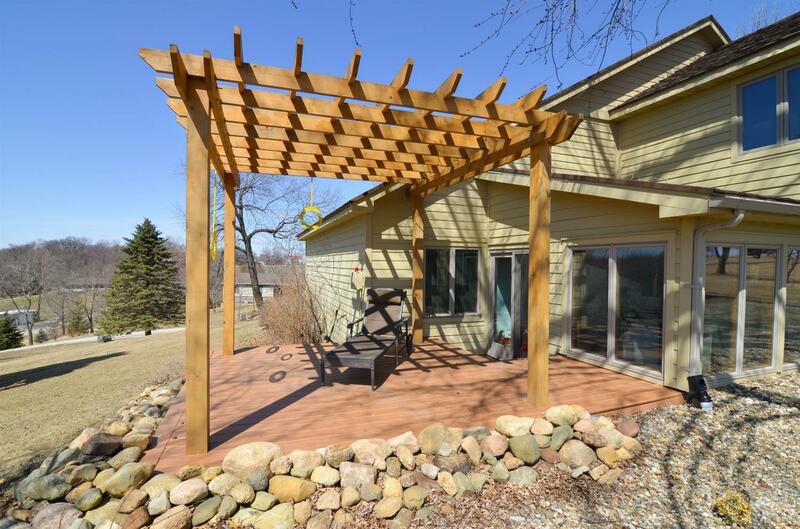 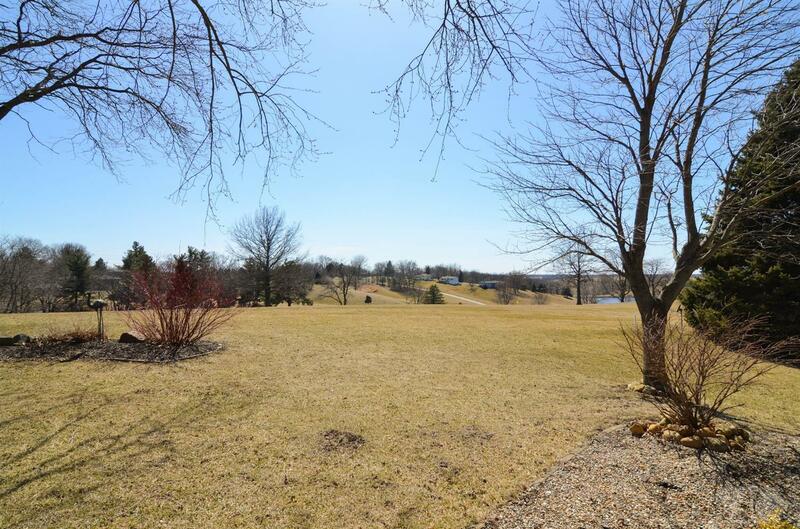 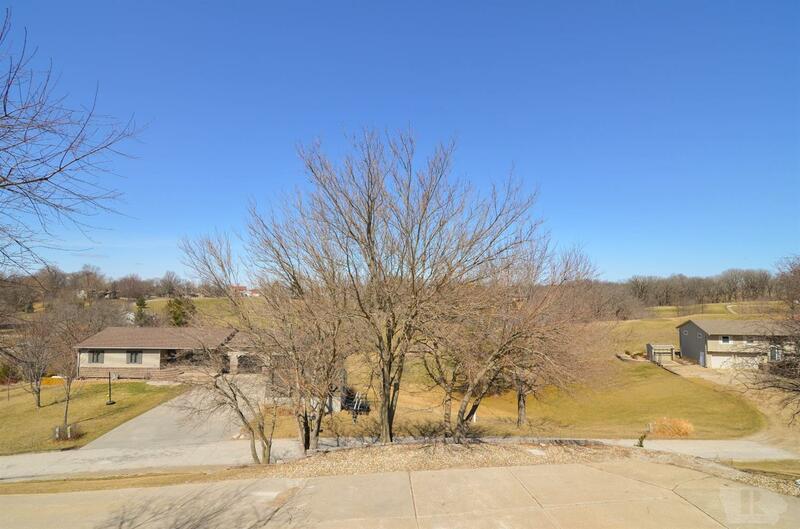 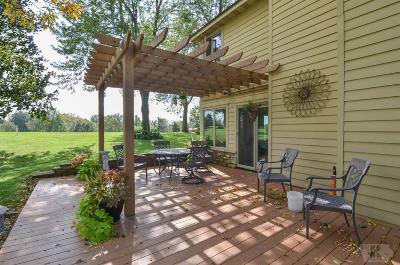 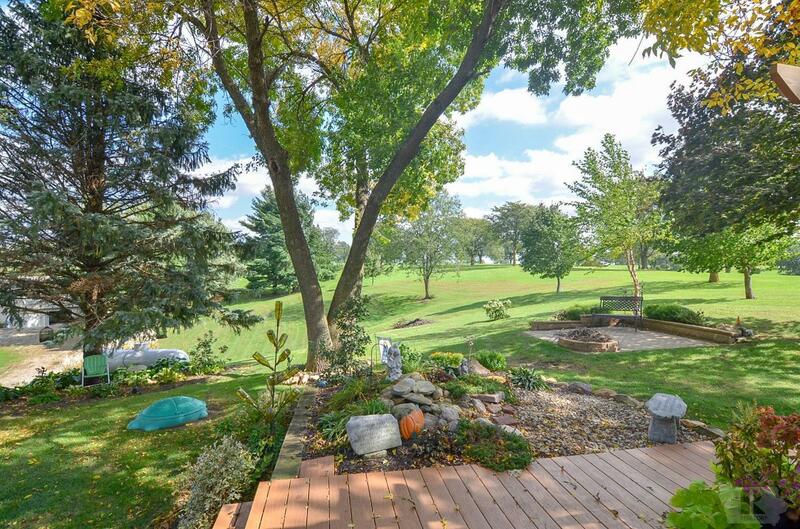 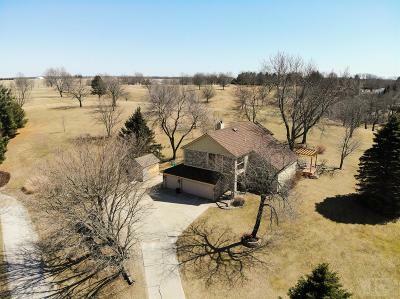 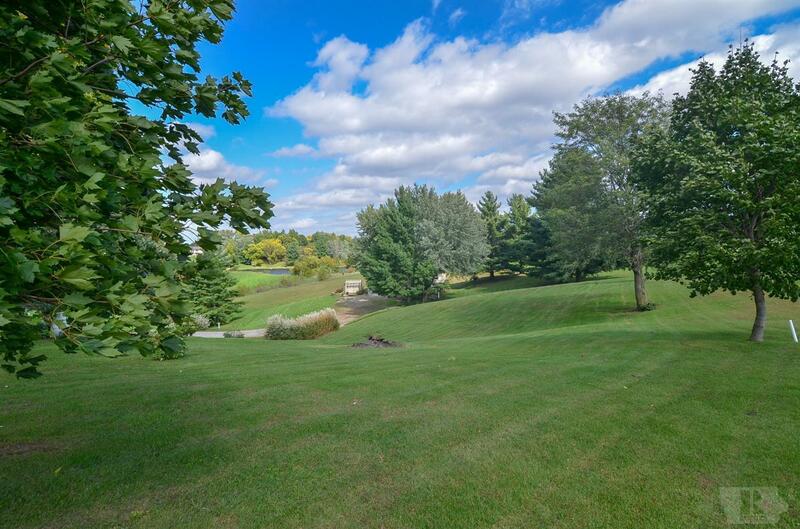 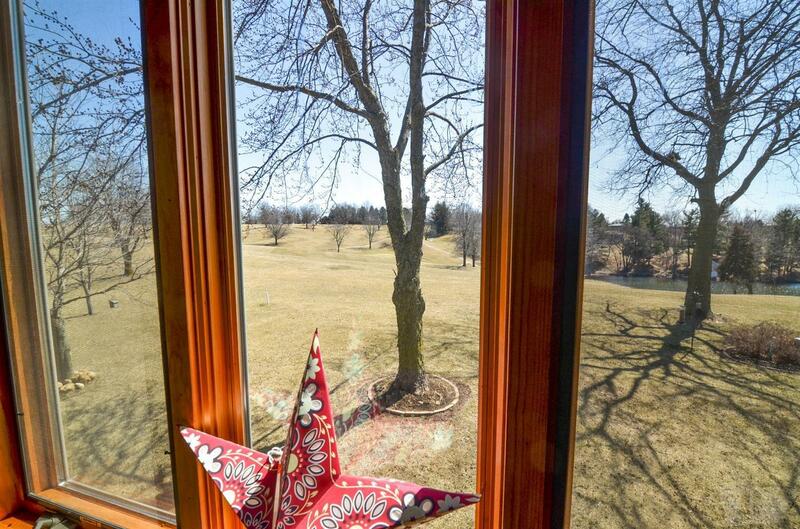 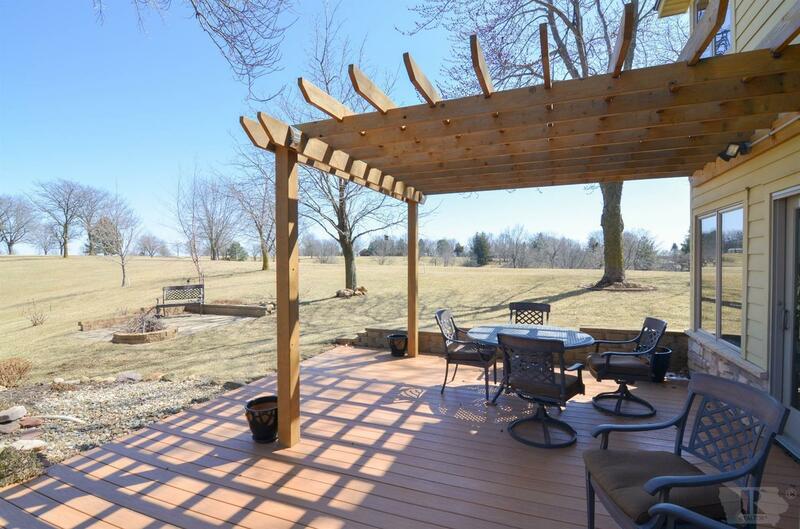 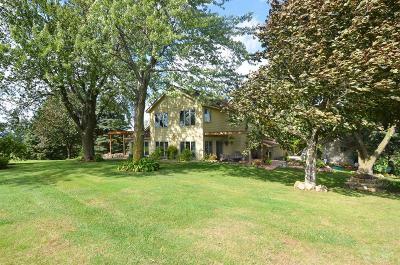 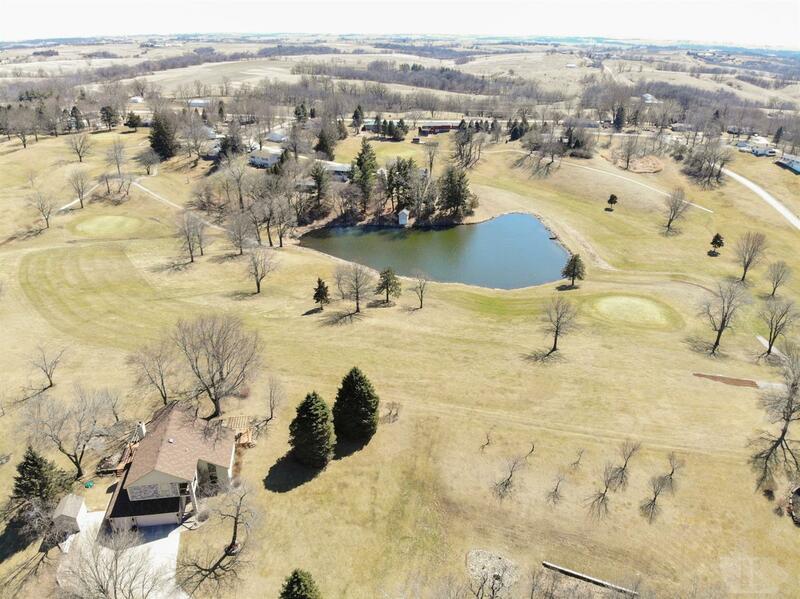 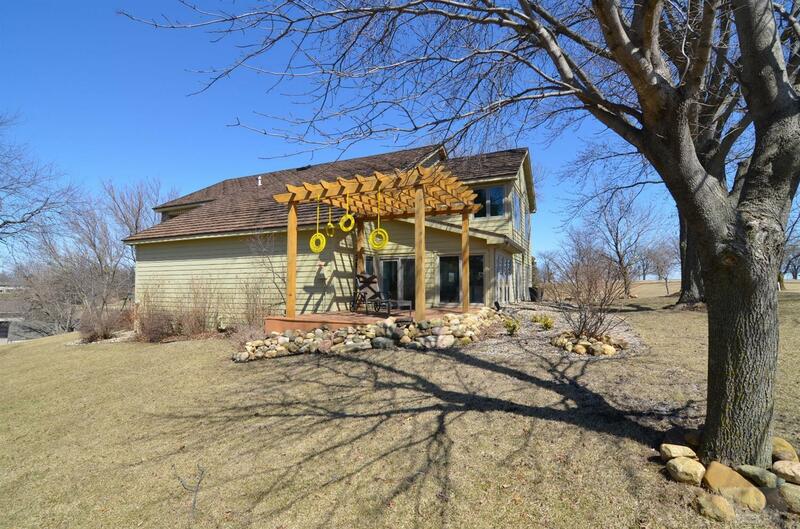 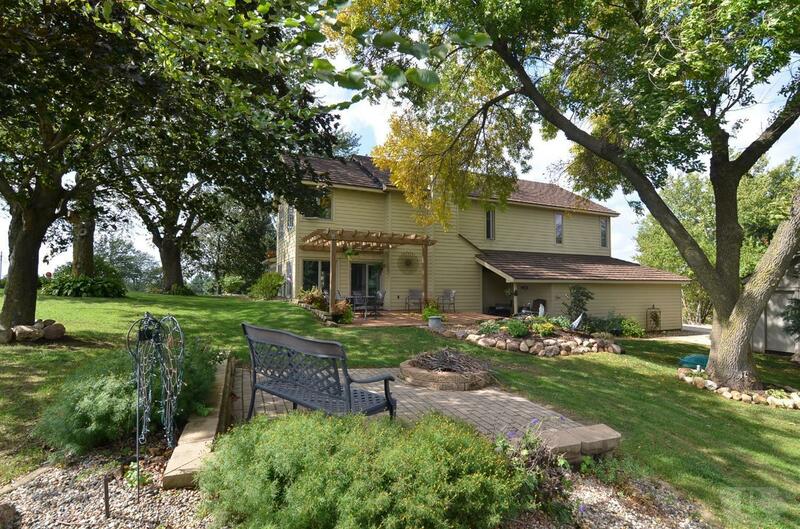 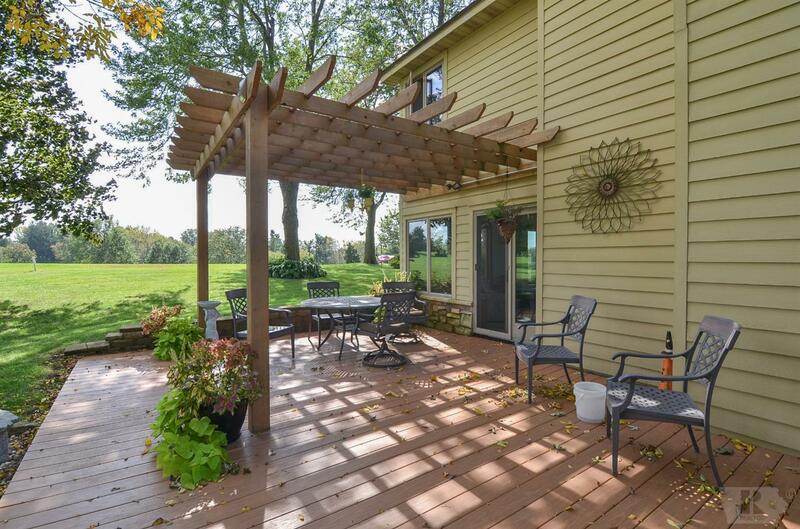 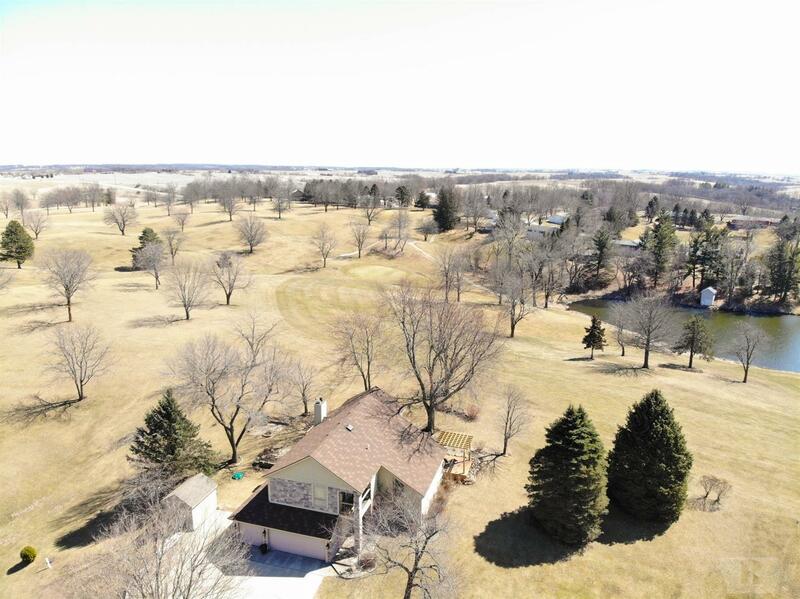 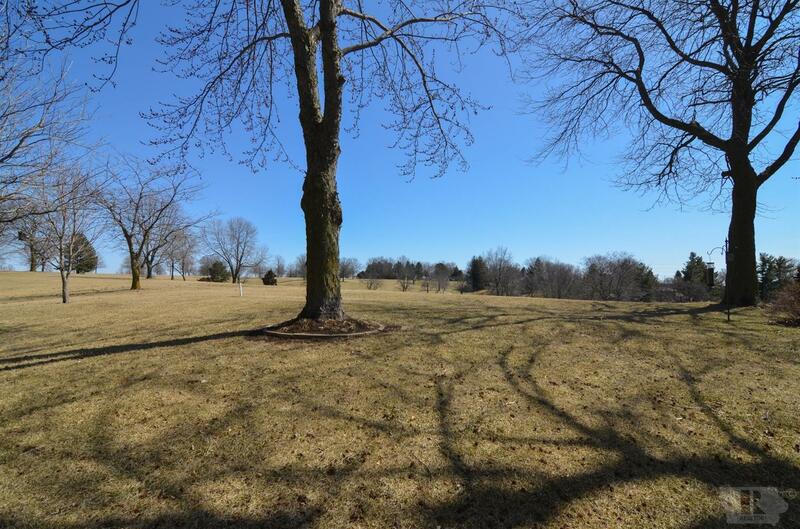 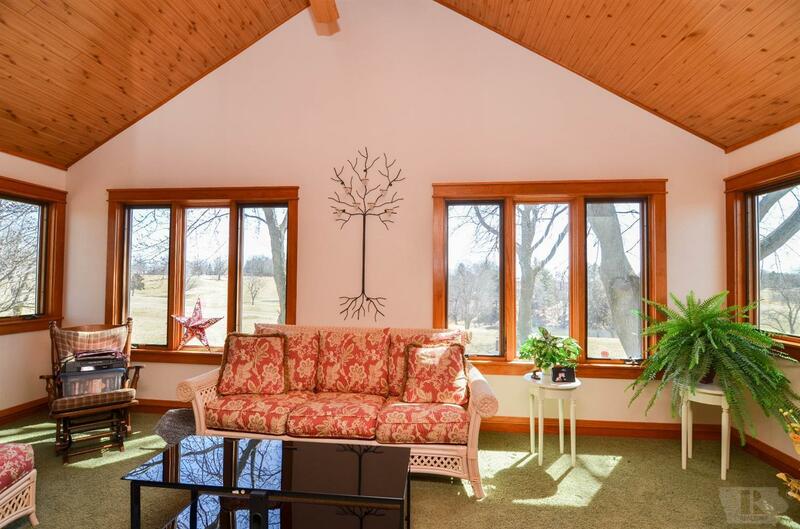 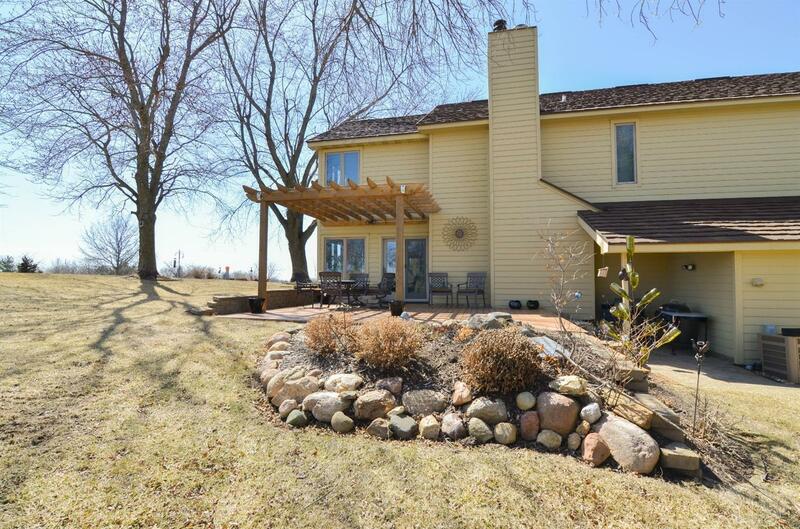 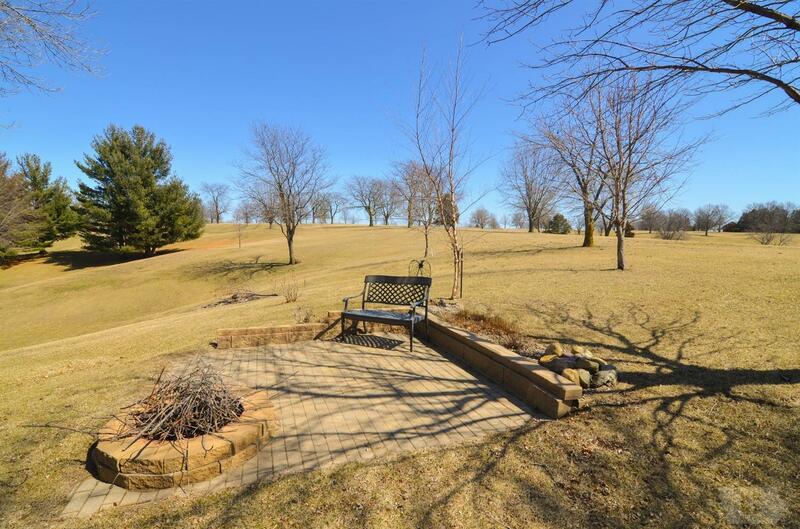 With over an acre between two lots this contemporary home overlooks the 15th hole at Oakland Acres Golf Club. 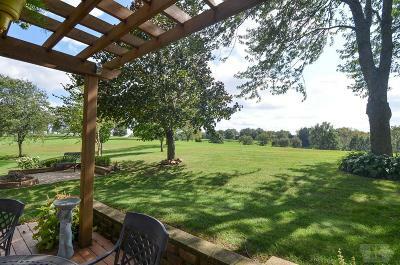 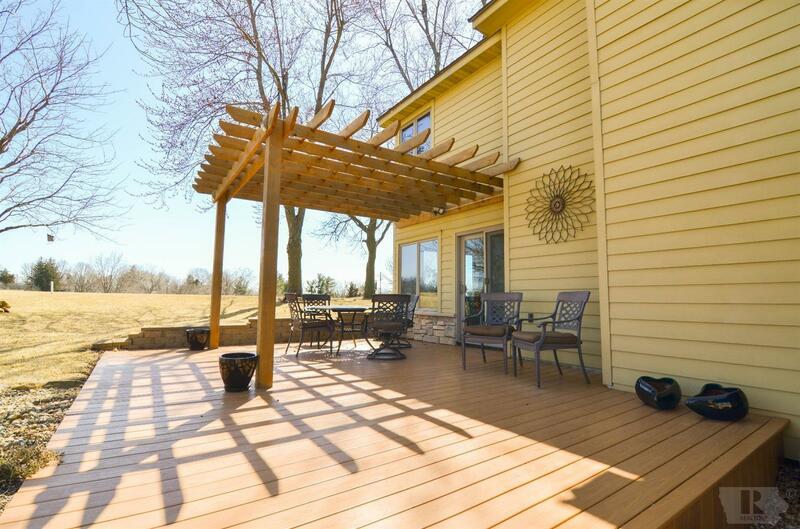 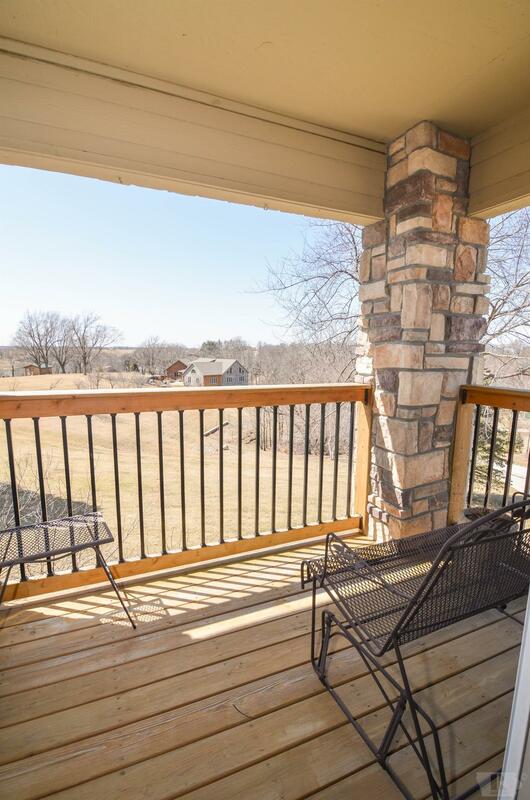 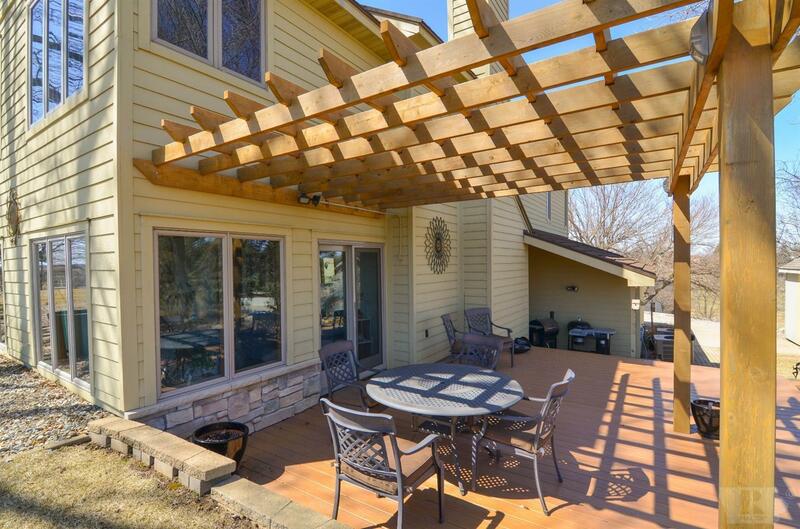 Enjoy a cup of coffee or glass of wine from either of two decks with pergolas or one of the two sunrooms! 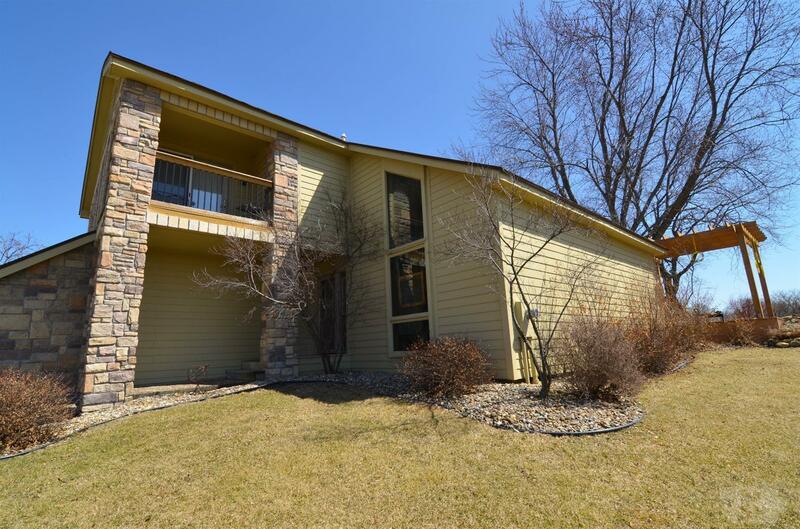 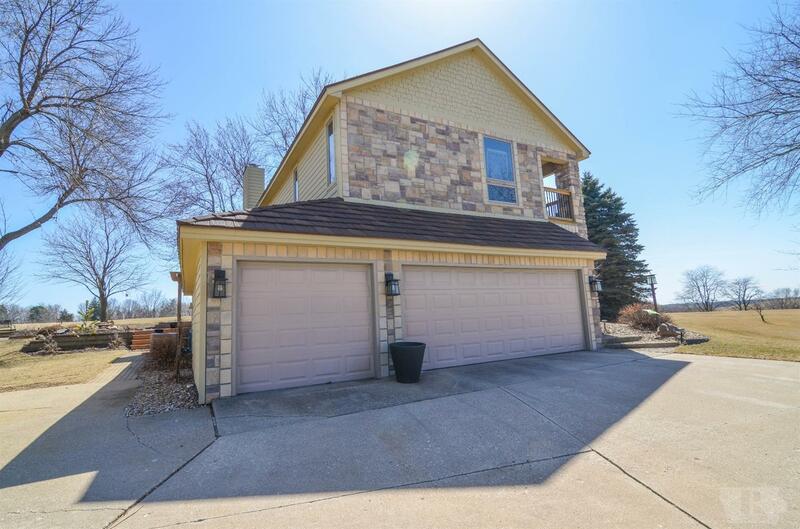 Inside you'll find formal living and dining rooms with tall vaulted ceilings, updated eat-in kitchen with stainless steel appliances and quartz countertops. 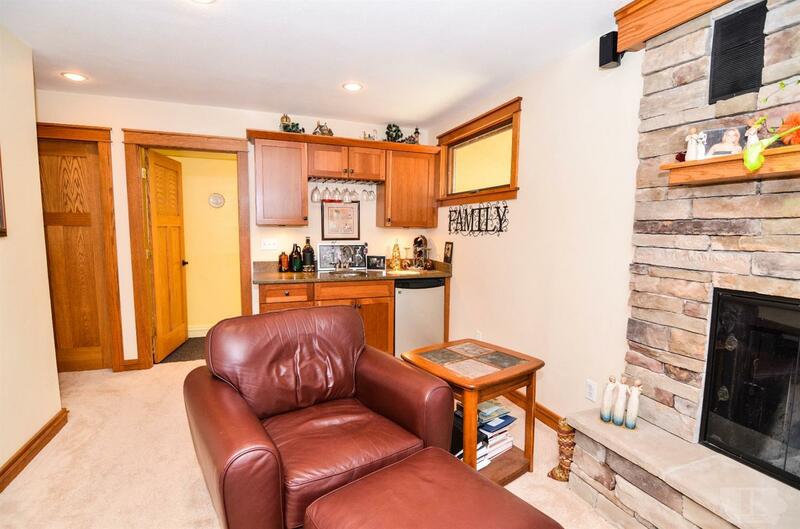 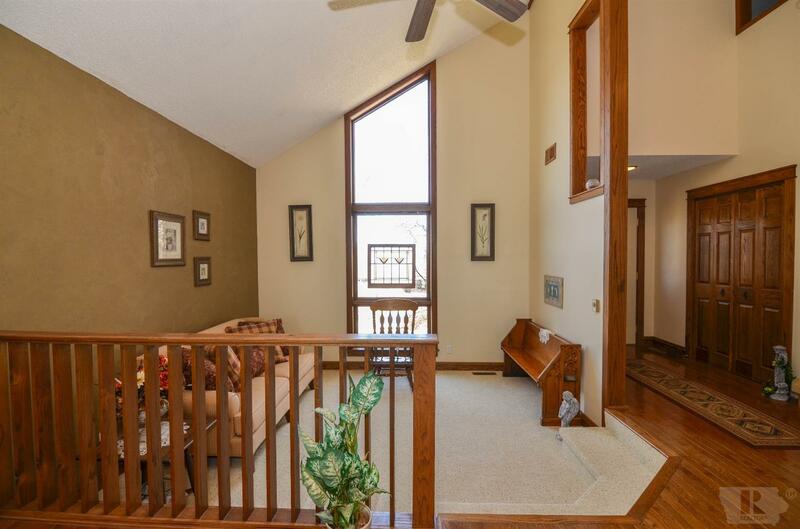 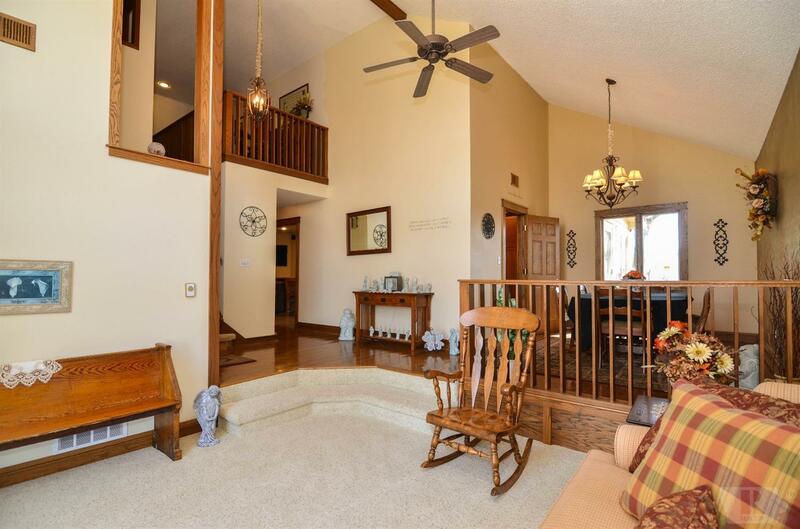 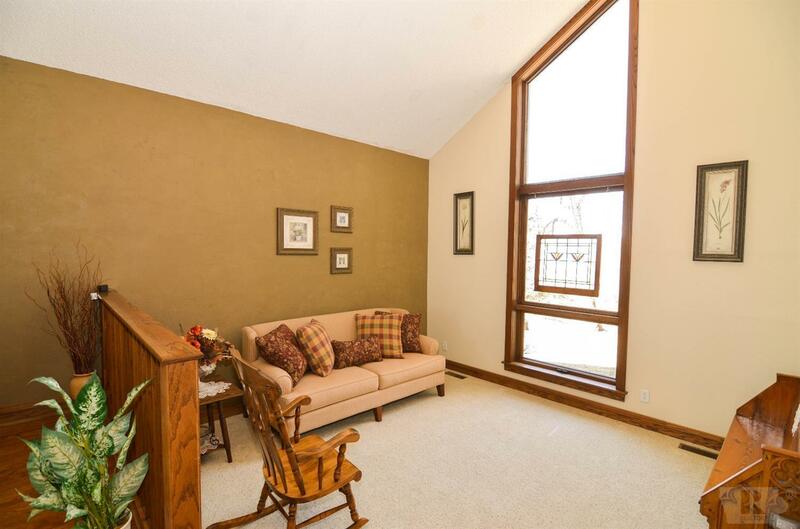 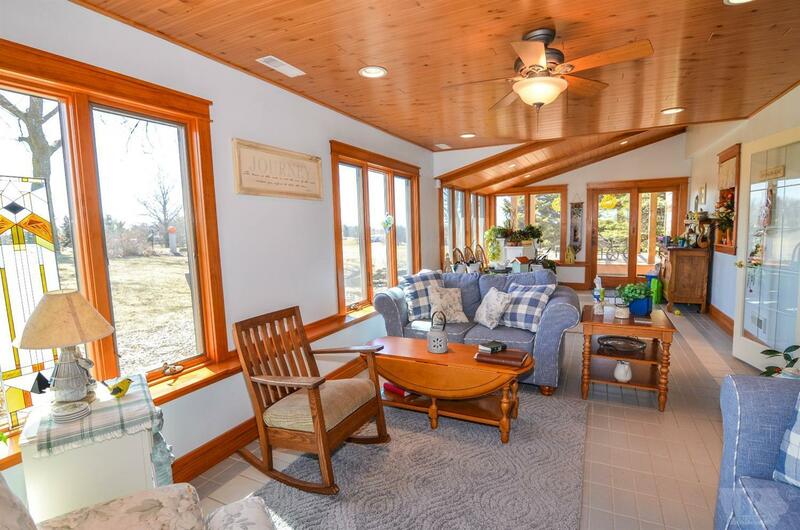 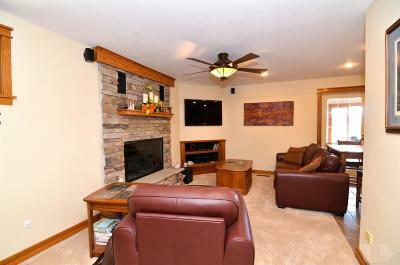 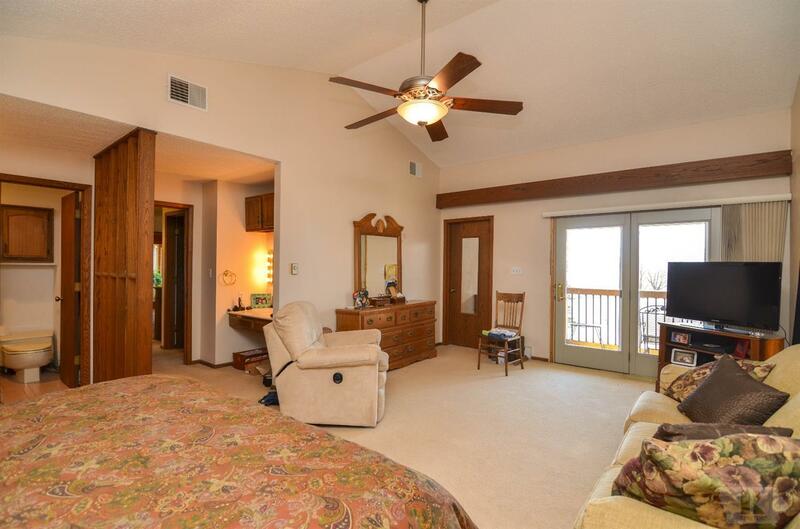 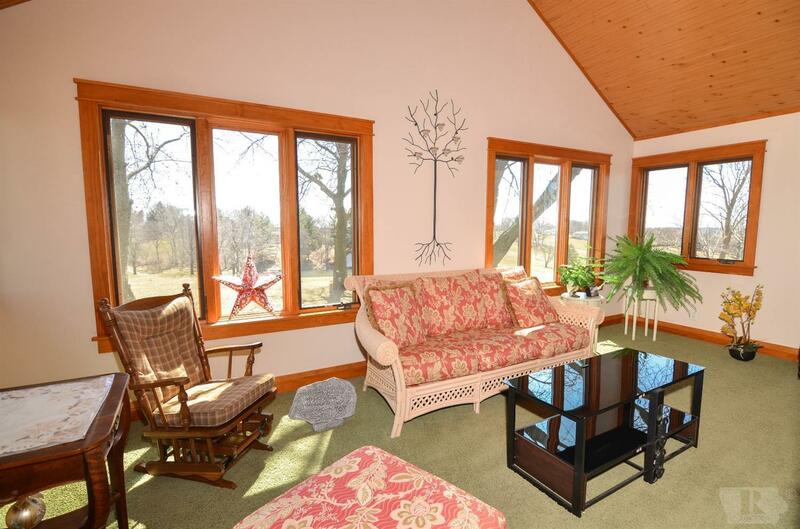 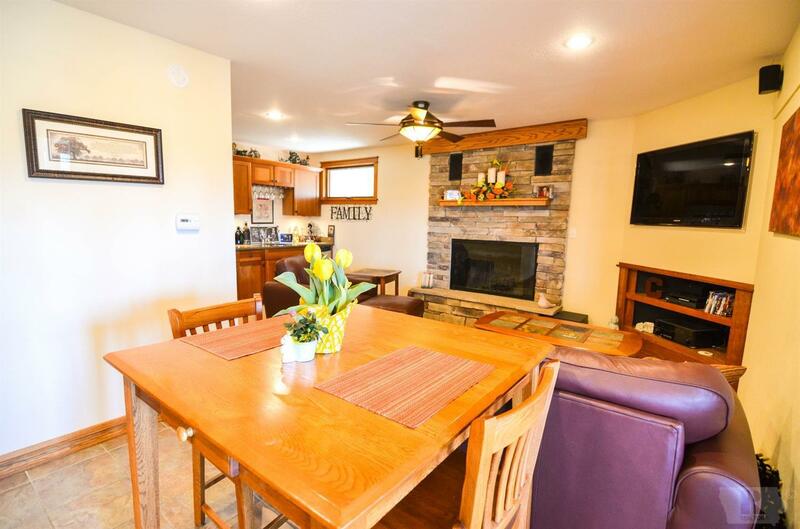 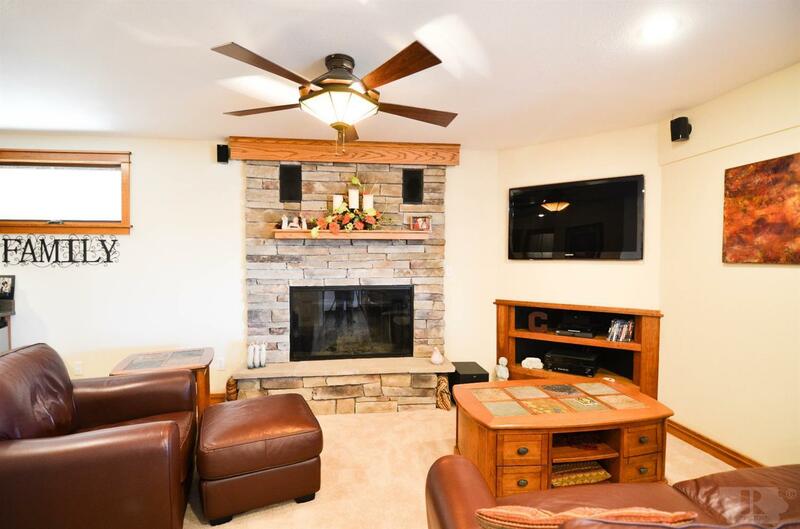 Transition into a family room with wood-burning fireplace and wet bar. 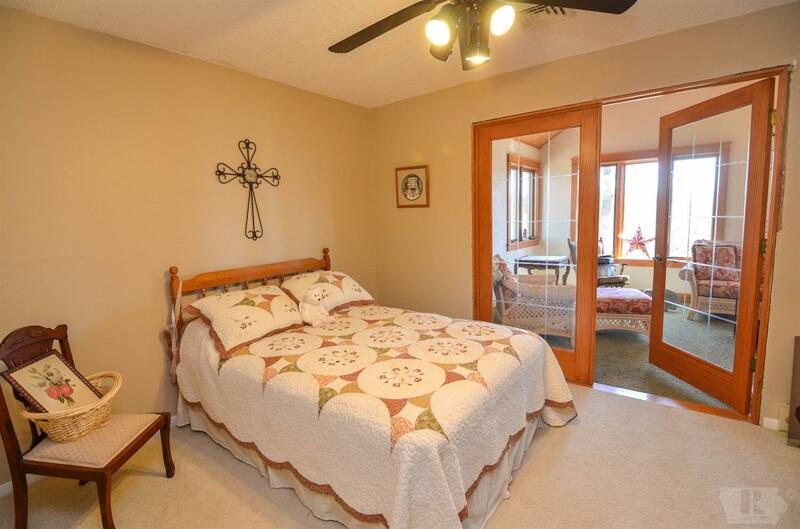 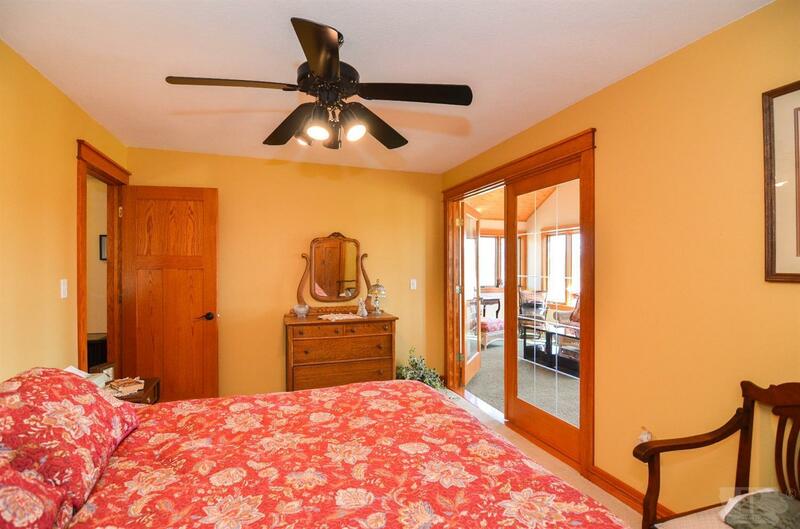 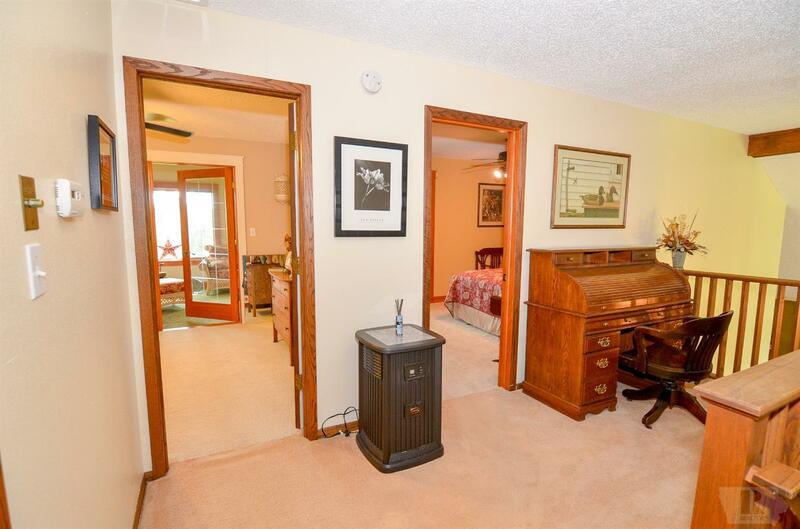 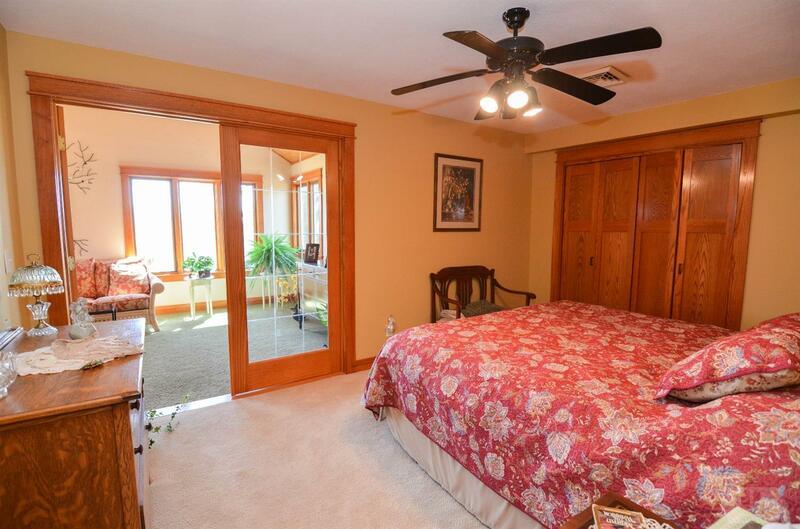 There is a main floor laundry, 3-car garage, fourth non-conforming bedroom/office, and huge master bedroom suite with vaulted ceilings and private balcony. 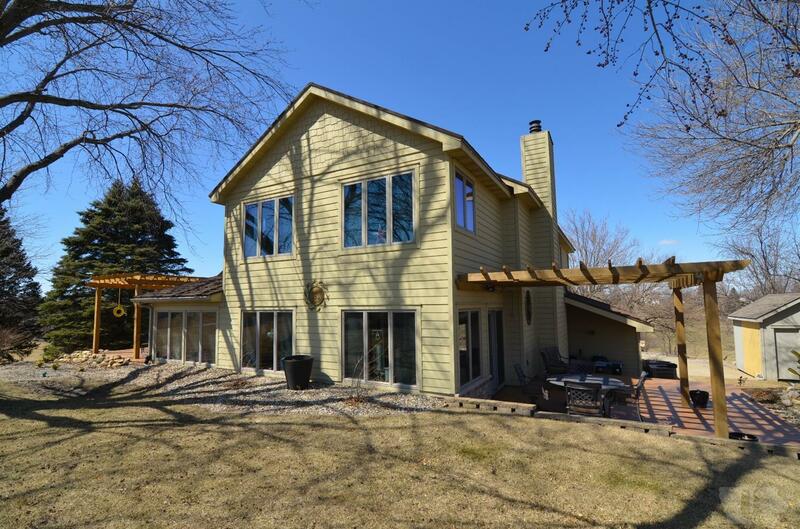 The roof has been replaced with long lasting architectural metal shingles. The exterior also boasts Hardi Plank siding with gorgeous stone accent, paver patio, beautiful landscaping, a shed, and Anderson wood casement windows. 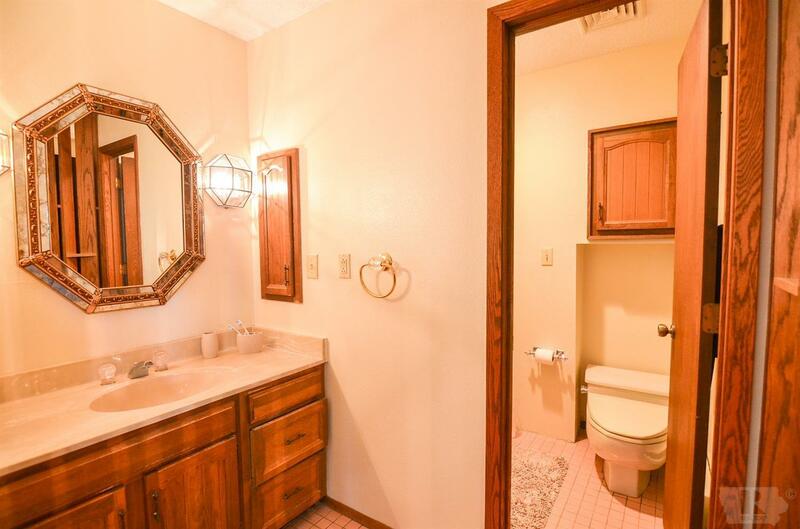 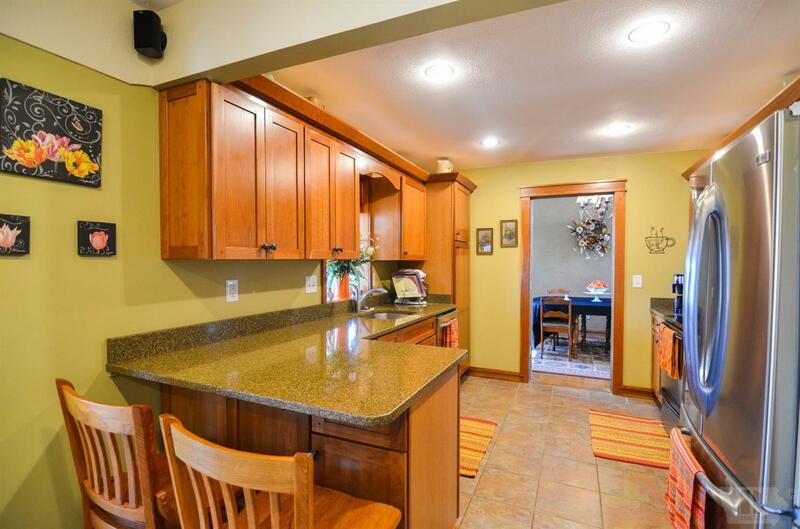 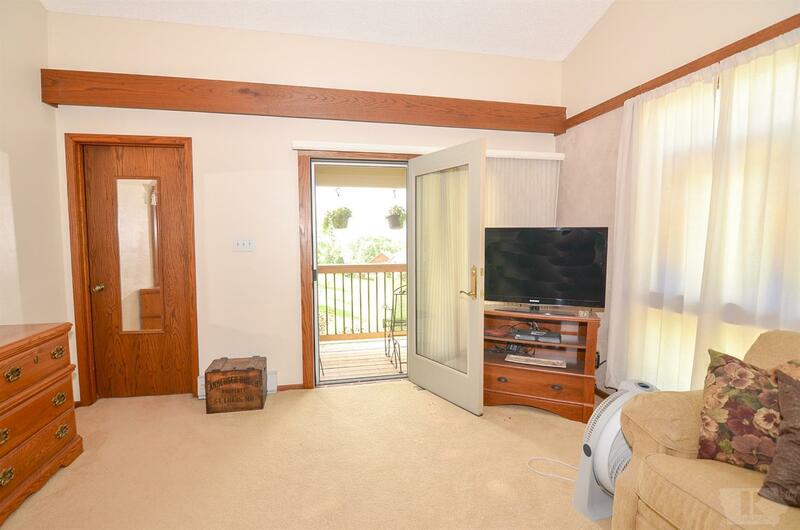 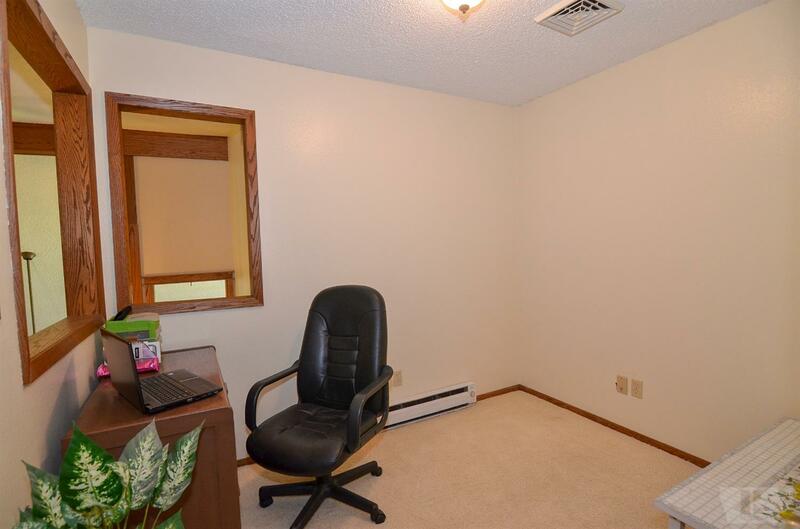 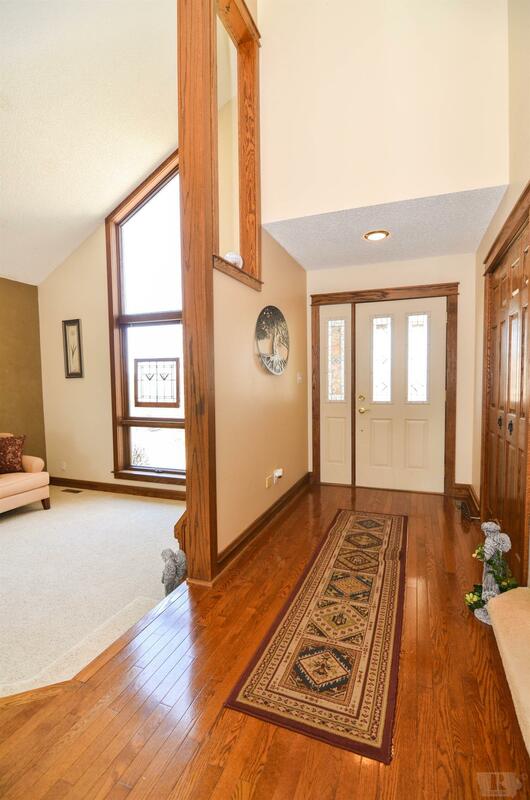 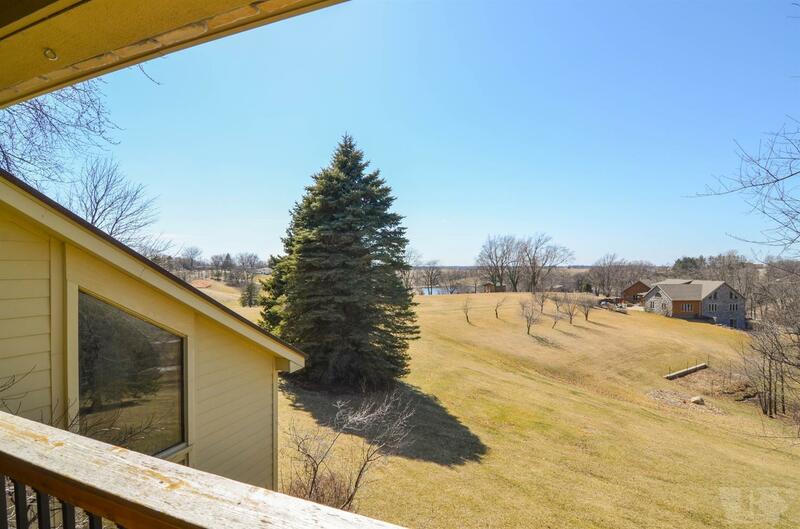 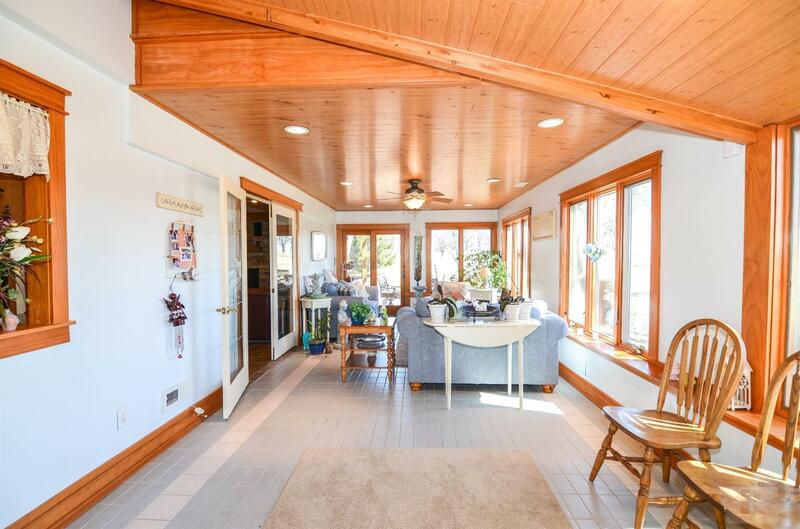 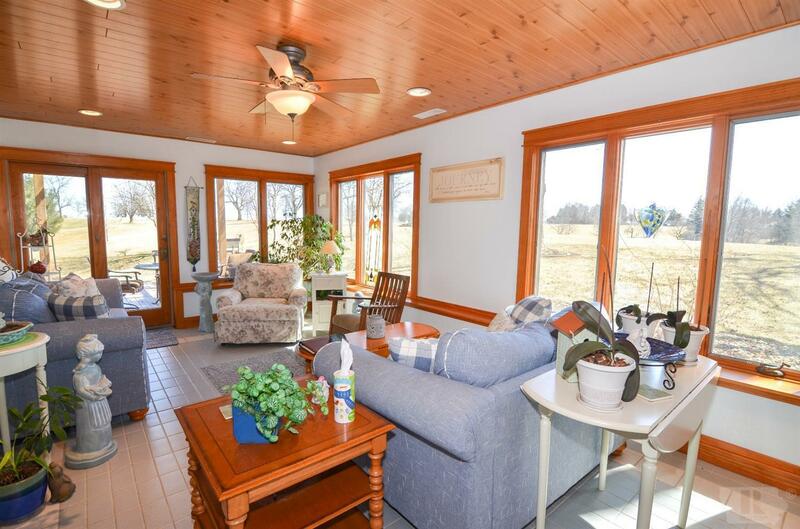 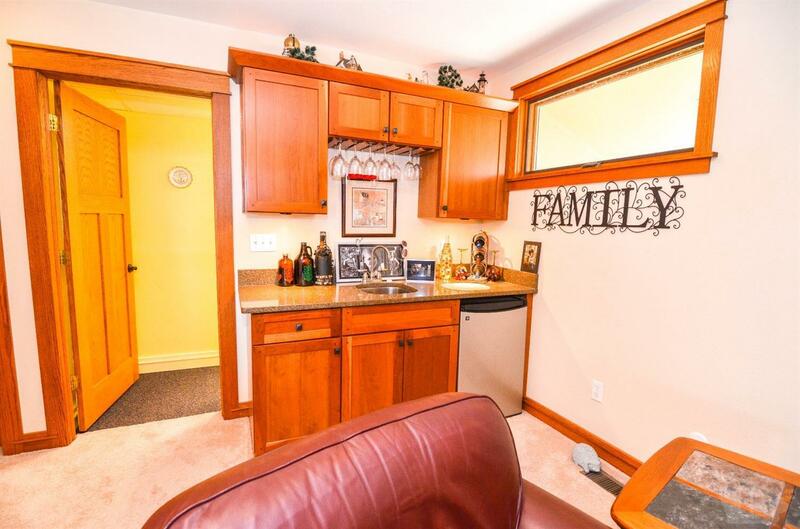 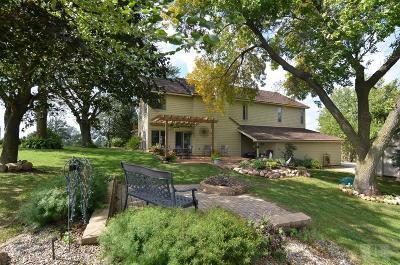 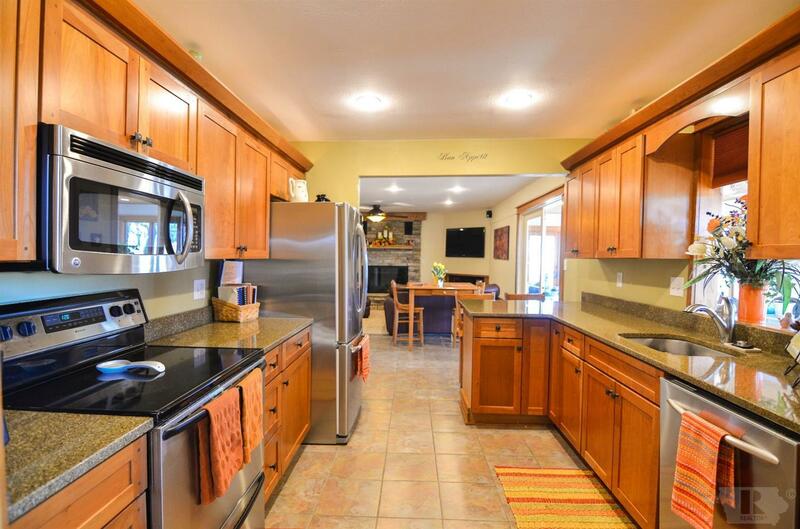 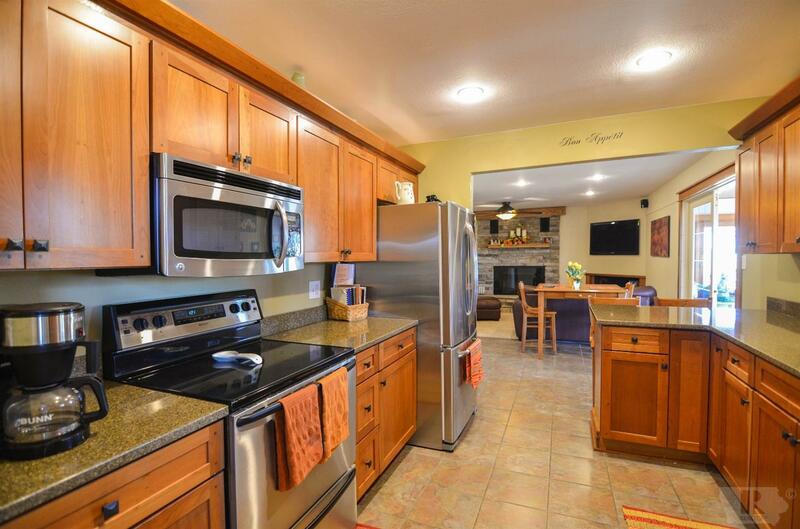 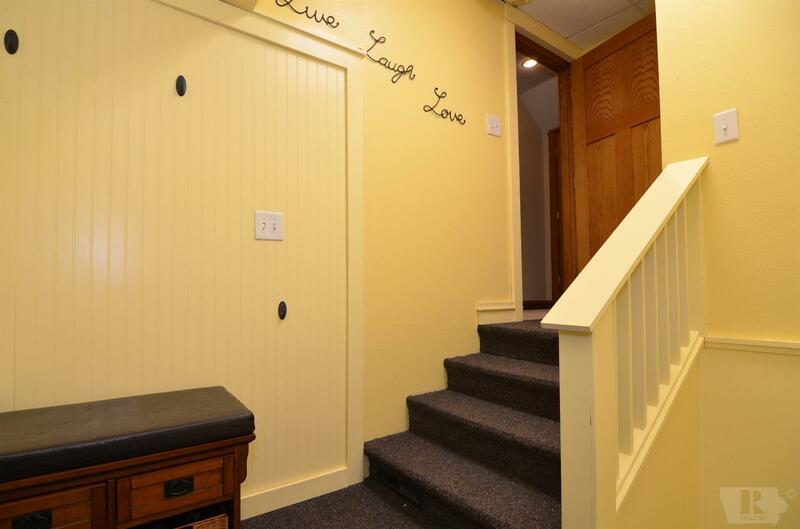 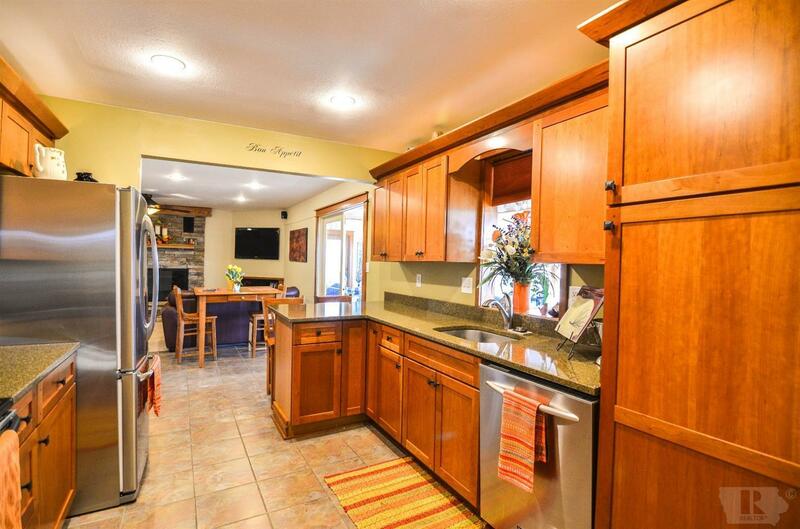 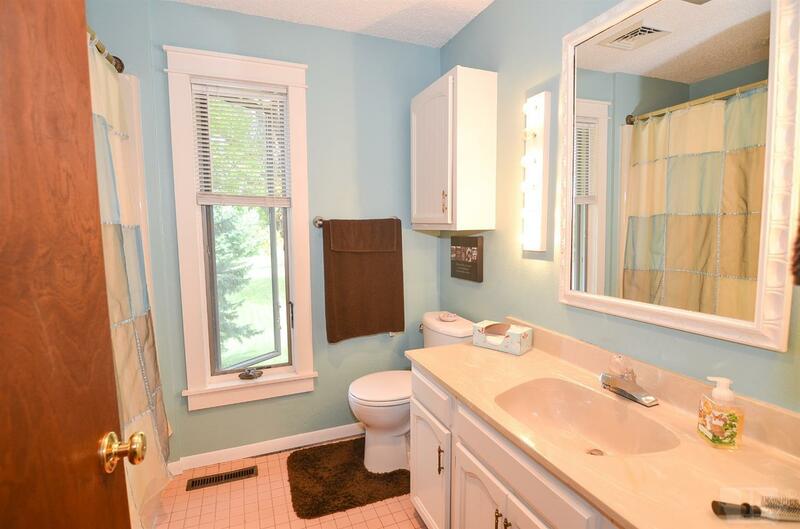 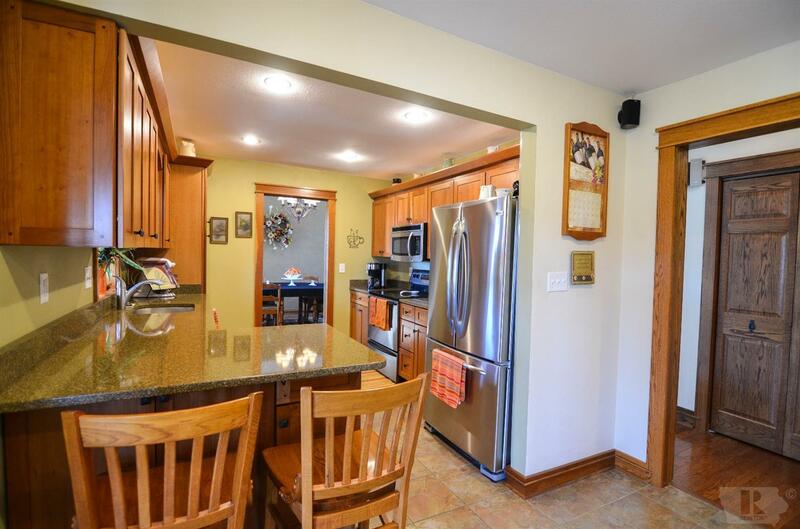 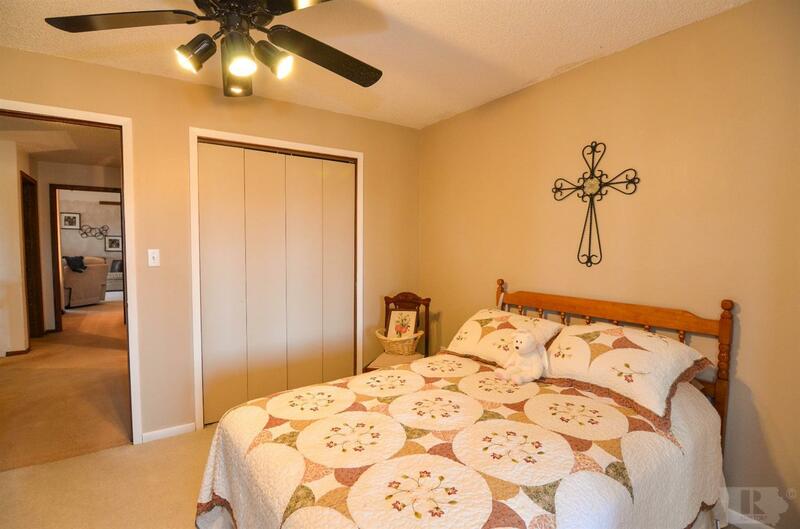 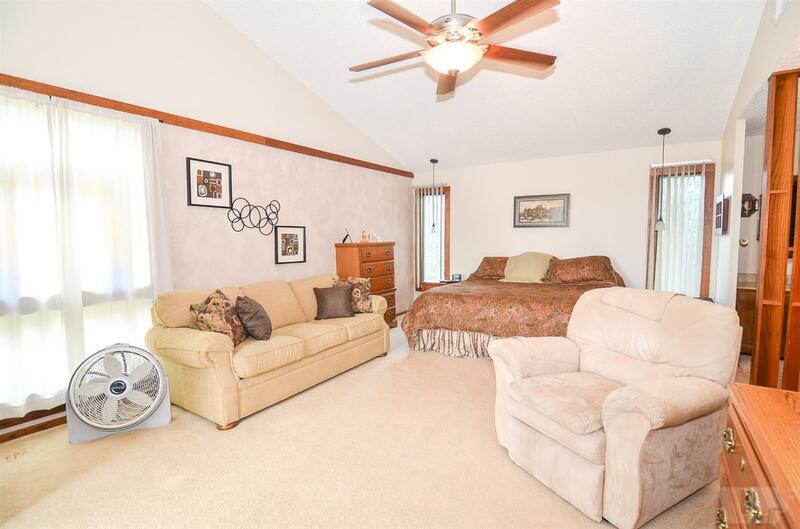 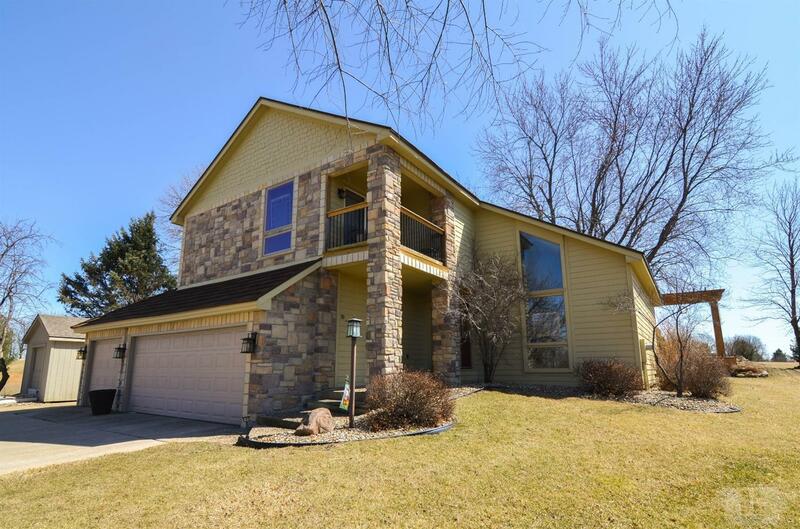 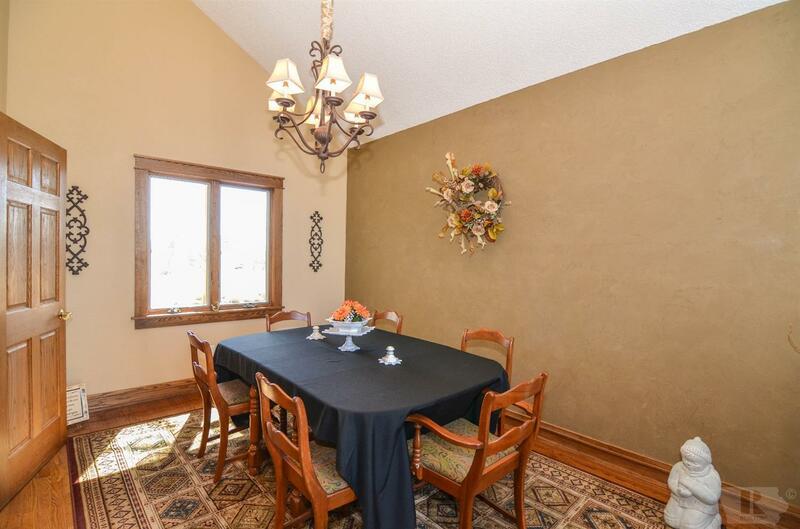 Other features of this home are dual heating and cooling systems, mud room, gorgeous wood ceilings, entry foyer, half bath on main level and large landing on second floor.